Since starting as the Conservation Graduate Trainee last September, I have had lots of opportunities to get out and about with our hardworking National Park Volunteers undertaking practical conservation tasks across the National Park. 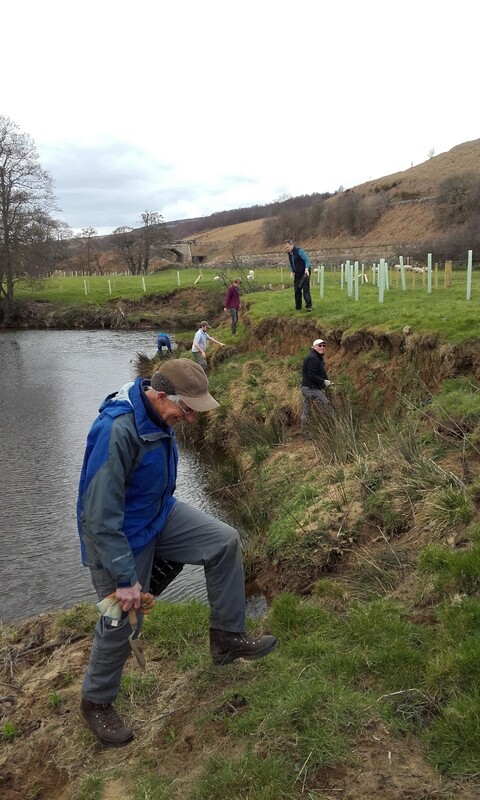 Last week, I joined the River Esk Volunteers for a day planting woodrush along the banks of the River Esk. Greater woodrush Luzula sylvatica is a native, perennial member of the rush family which grows in damp shady places. It thrives along river banks in the North York Moors, where it grows in tussocks providing great ground cover which helps stabilise the river bank. However there are sites along the River Esk where the banks are void of any vegetation. When stock have access to the river, any natural regeneration gets nibbled off and the river banks are left bare and susceptible to erosion leading to sediment entering the water and choking the river habitat. Woodrush planting coupled with river side fencing to exclude stock and create a bankside buffer strip is potentially one of the solutions to this problem. 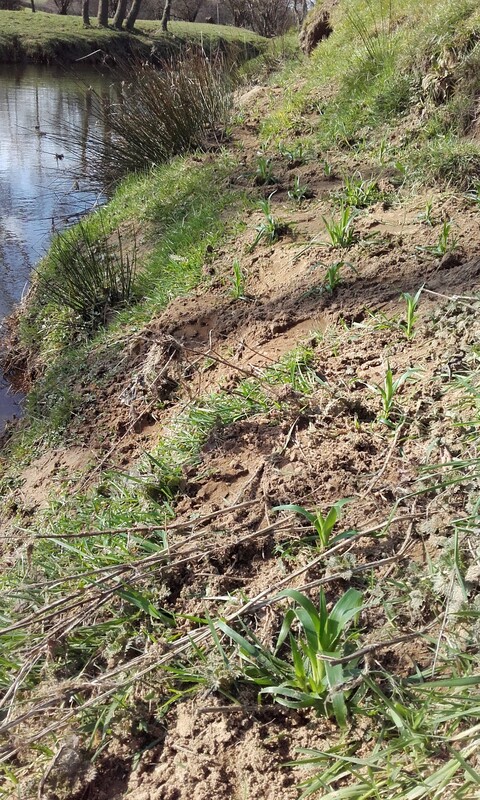 Planting woodrush as a means of stabilising the river bank has not been carried out before in the National Park. 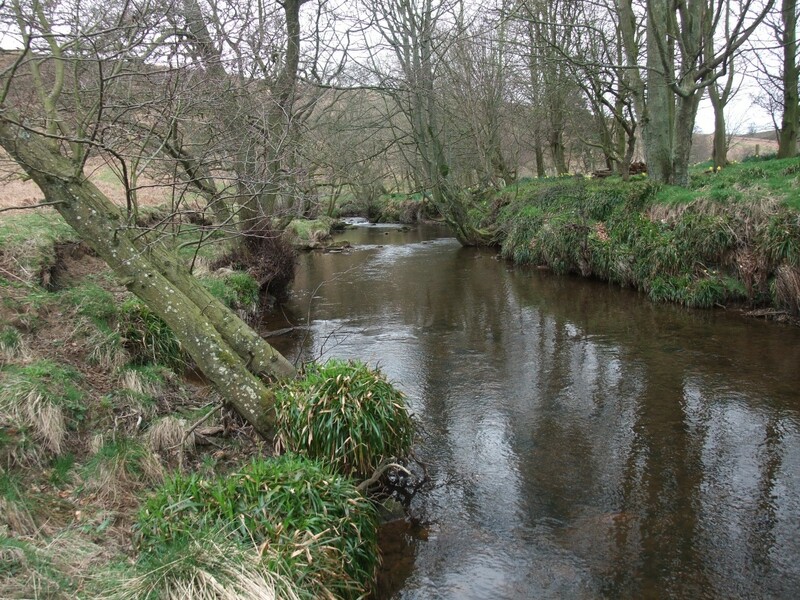 Simon, our River Esk Project Officer, identified a trial site which could benefit greatly from some conservation effort. The river was fenced off over winter, excluding stock from the damaged river banks and young trees – Hazel and Oak – were planted. Last summer National Park Volunteers had helped collect woodrush seeds from other sites along the River Esk (to maintain the local provenance) which were then sent off to the Mires Beck Nursey near Hull. The Nursery primarily produces wildflowers for conservation projects whilst providing opportunities for people with learning difficulties to get involved with horticulture. Our woodrush seeds spent the last eight months being grown on and cared for by the knowledgeable staff and volunteers at Mires Beck Nursery. The plants were delivered back to the North York Moors last week, ready to be planted. 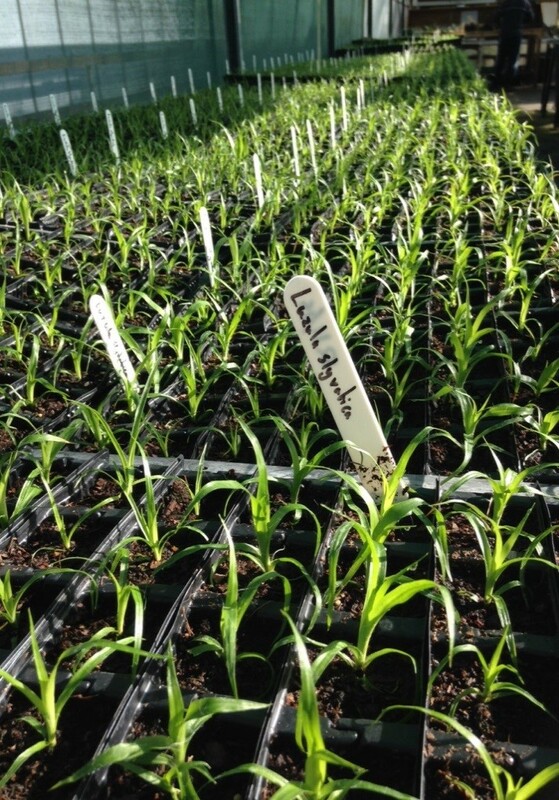 It was an extremely well attended planting task for a Monday in March – and it was sunny. The River Esk Volunteers were joined by three members of staff from Mires Beck Nursery who made the journey up from Hull to deliver the 3600 woodrush plants. Hopefully the newly planted woodrush will flourish and the river banks will be covered in vegetation once more, safeguarding the River Esk habitat and all its associated species. Biffa Award is a multi-million pound fund that helps to build communities and transform lives through awarding grants to community and environmental projects across the UK, as part of the Landfill Communities Fund. More information on the award is available at www.biffa-award.org. This entry was posted in Agri-Environment, Biodiversity, Conservation, Ecology, Environment, Funding, National Park, Natural Environment, North York Moors and tagged Biffa Award, Esk Pearl Mussel and Salmon Recovery Project, Freshwater pearl mussels, Habitat, Plants, River Esk, Rivers, Tree planting, Volunteers by North York Moors National Park. Bookmark the permalink.